Not only is this the coolest cot I have ever seen, but also the most ingenious – it transforms into an incredibly chic table for when your little darling grows up. 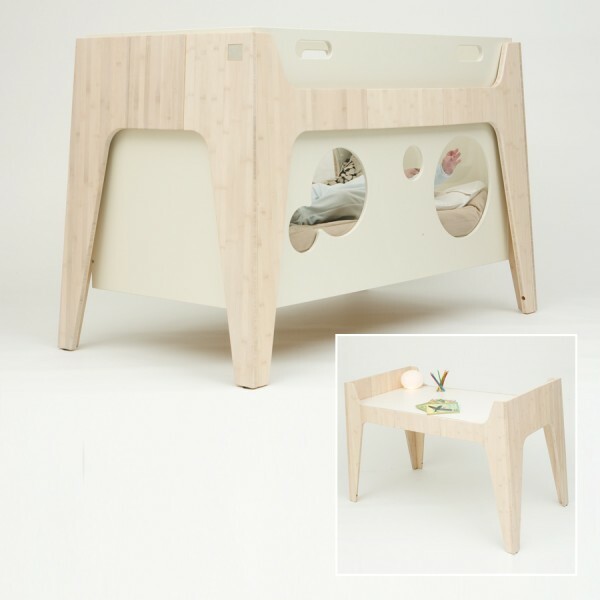 Made by French eco-design company Castor & Chouca, the Soleil baby bed is simply stunning. It starts life as a fabulous looking adjustable cot with lockable wheels so you can move it easily to wherever you wish. There are three large perspex windows so baby can see out – one can be removed when your baby grows big enough to climb in and out safely on their own. 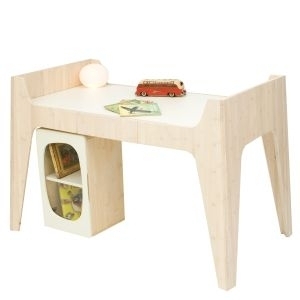 When you no longer need a cot, it miraculously converts into a stylish junior desk. The entire cot is made from ecologically sound raw materials, including bamboo for the frame and organic cotton on the mattress. The standard cot and desk costs €990. You can include a cradle for an extra €500. Available from kids love design, who also stock a whole heap of wonderful products we’ve featured before on Babyology. Shipping to Australia is available.